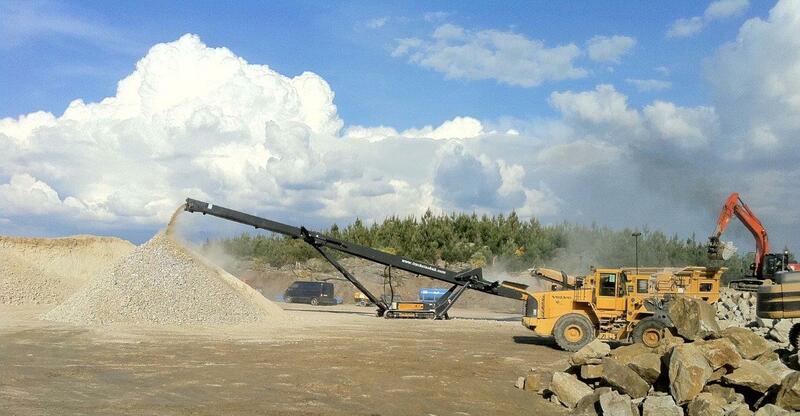 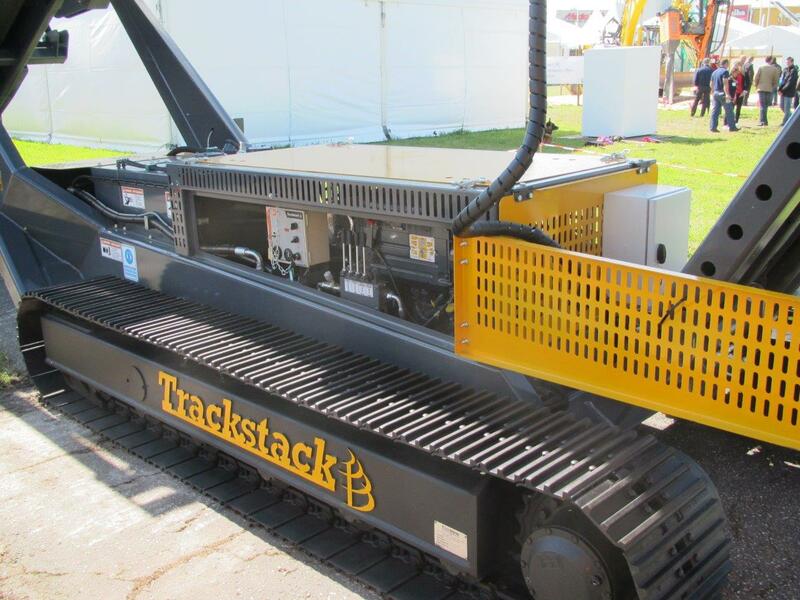 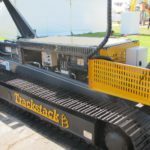 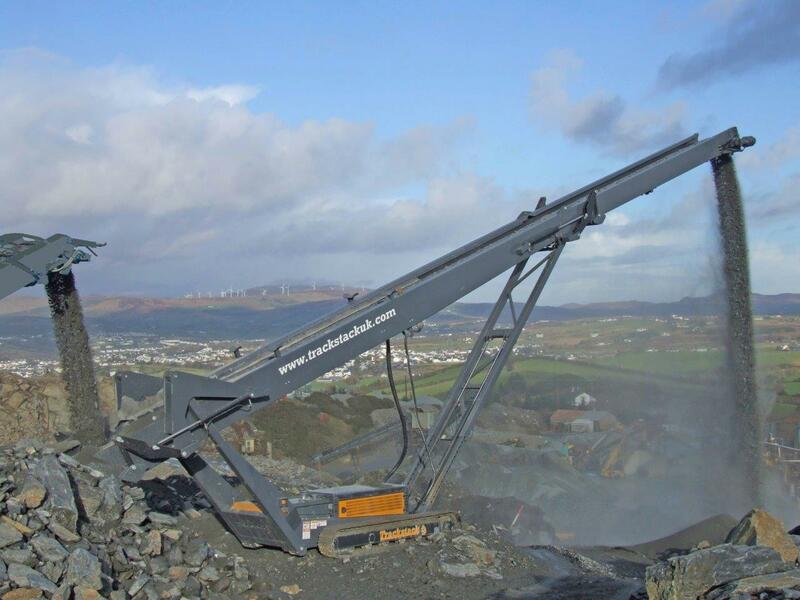 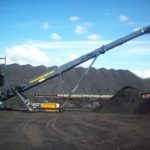 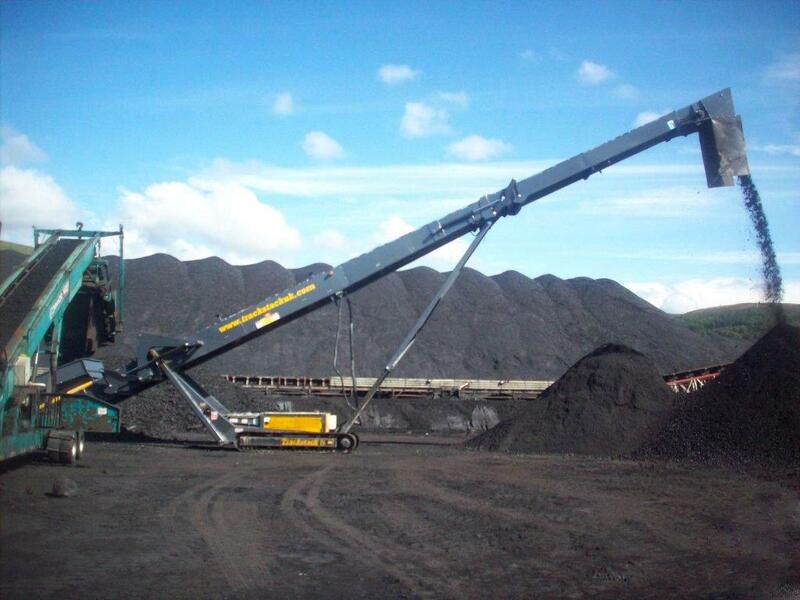 The Trackstack 8042T is the ideal mobile stockpiling solution for a large range of applications. 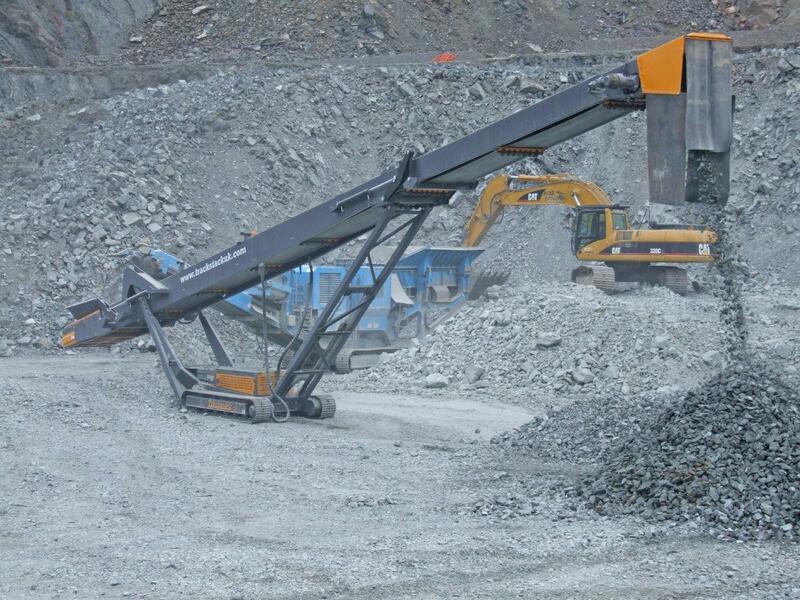 This heavy duty, but versatile machine can be setup in super fast time. 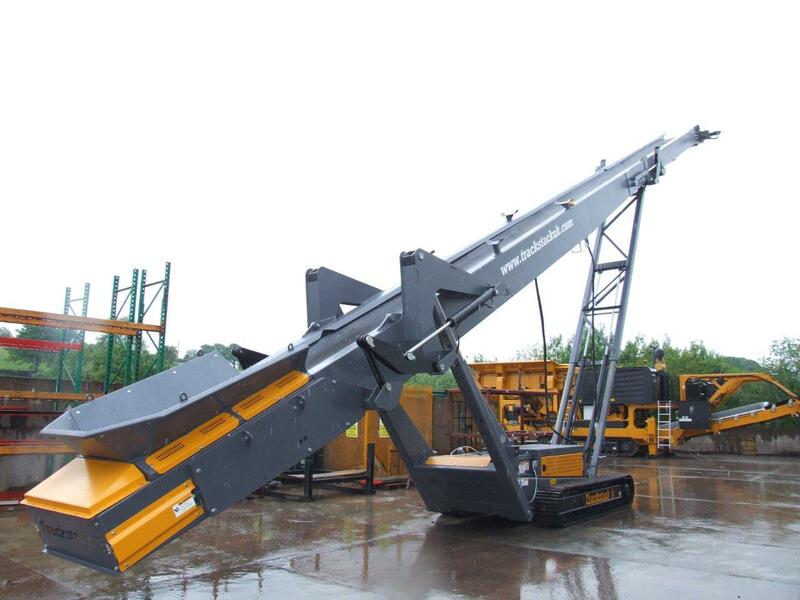 Featuring a unique ‘Boomerang’ design, the feed boot height can be adjusted without altering the head drum position. 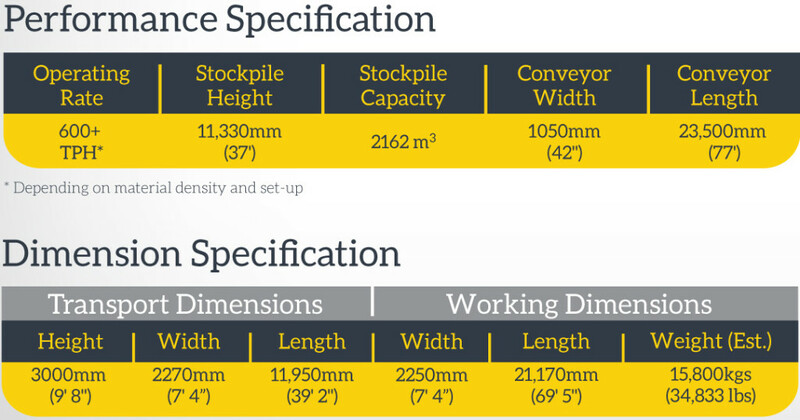 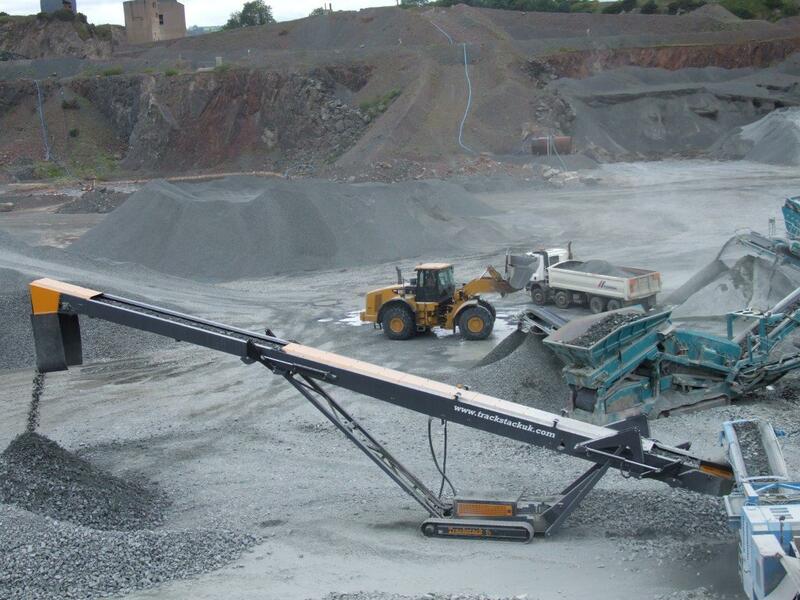 This ensures maximum flexibility without losing stockpile capacity. 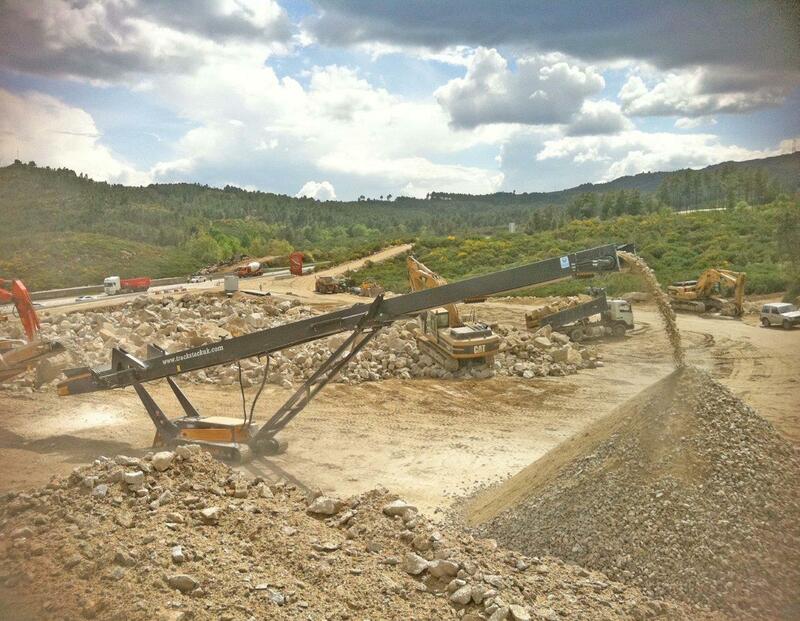 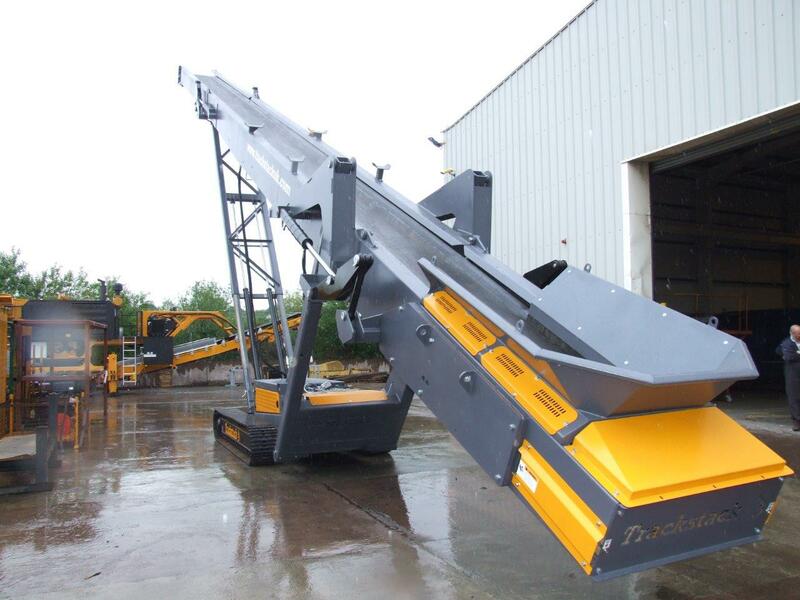 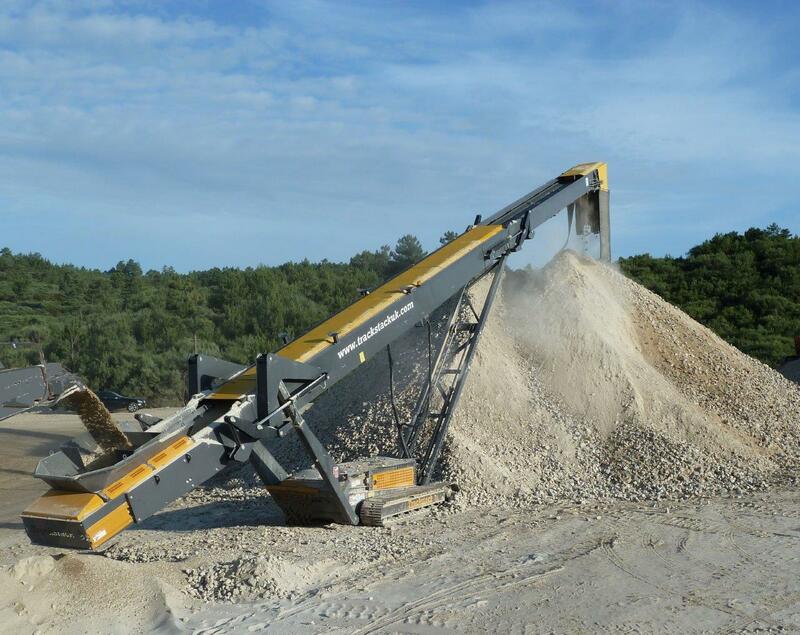 The 8042T can receive material directly from a crusher or screen or be installed in a close circuit application. 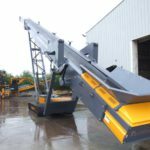 With its Hi-Torque drive system this machine can be fed direct by a Wheeled Loader or Excavator (requires fitting of Direct Feed Hopper). 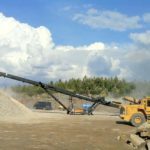 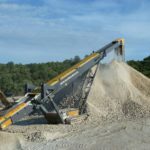 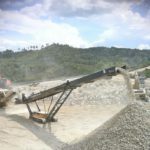 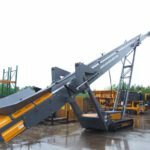 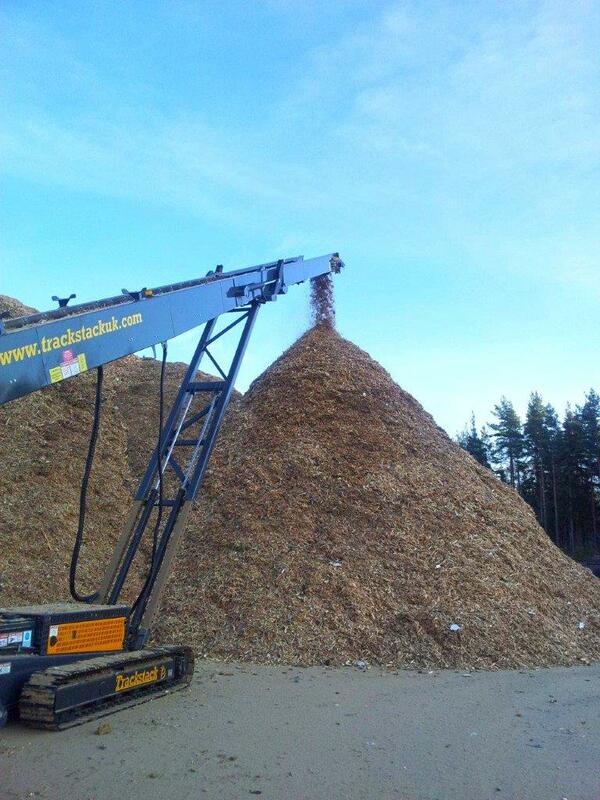 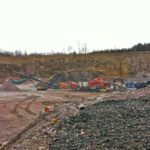 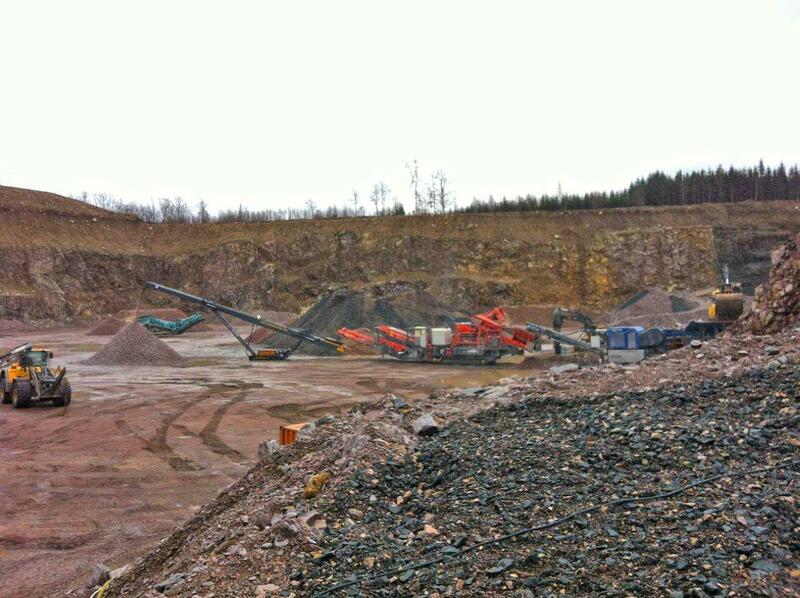 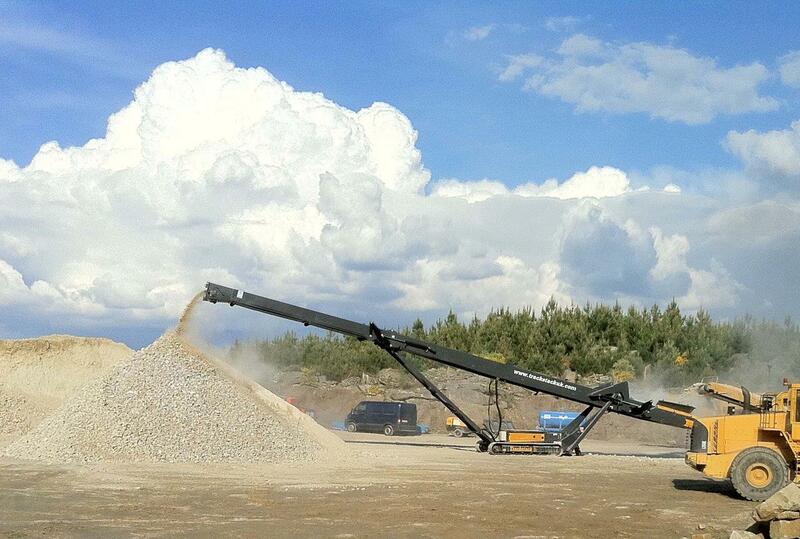 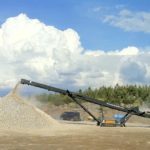 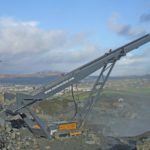 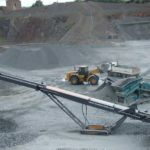 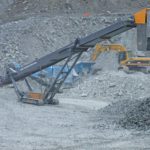 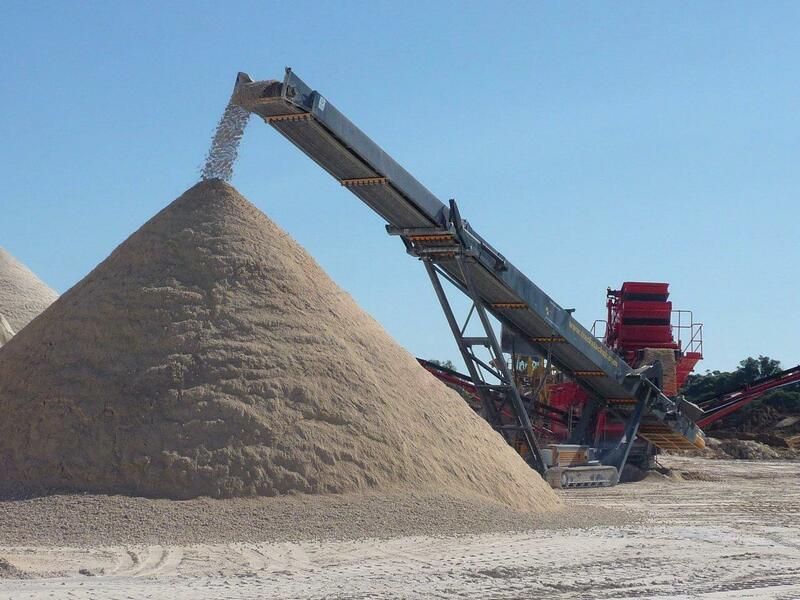 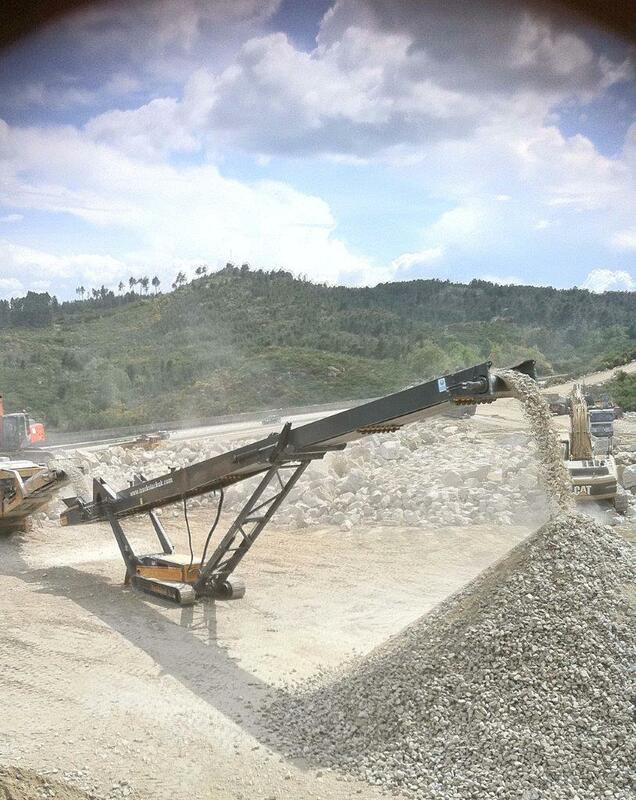 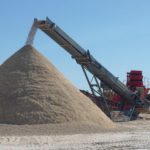 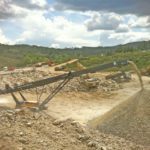 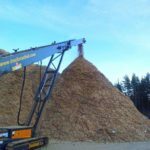 It also integrates easily into the Tesab range of Crushers and Screeners making it the ideal solution in any situation.